It's a red sauce revolution. Traditional hand tossed hearth baked. Authentic italian. Hand tossed pizza. signature pasta. Greco's Pizza Deli opened July 21, 1986 in Pasadena, CA, but the story started many years before that. My very first restaurant was my red Radio Flyer. When I was 10 years old, I sold mini hot dogs wrapped in Pillsbury dough to my friends and neighbors up and down the block. Even before that, in third grade, when I was on the Art Linkletter Show I proudly told the host I wanted to "own a restaurant" when I grow up. I started working on the weekends as a dishwasher at 12 for my Uncle Angelo in his pizzeria, Angelo's in Alhambra. I was paid in pizza and lasagna. When I turned 15, I was allowed to apprentice with Uncle Angelo. Even after three years as an apprentice, he still limited my tasks to keeping his work table stocked with ingredients and manning the ovens. I watch and learned knowing one day I would have my chance. At 27 that lifelong dream came true when I opened the first Greco's. Since then I have owned four restaurants with varying pizza dining experiences and now I am proud to have the new Greco's with a fast, casual, take-out concept. I have maintained the same tried and true recipes that my customers have enjoyed since 1986. I look forward to serving generations of new customers in Glendora and to continue the tradition that started many years ago. Greco's directly to your doorstep. Connect with the following apps to order directly and have Greco's delivered. 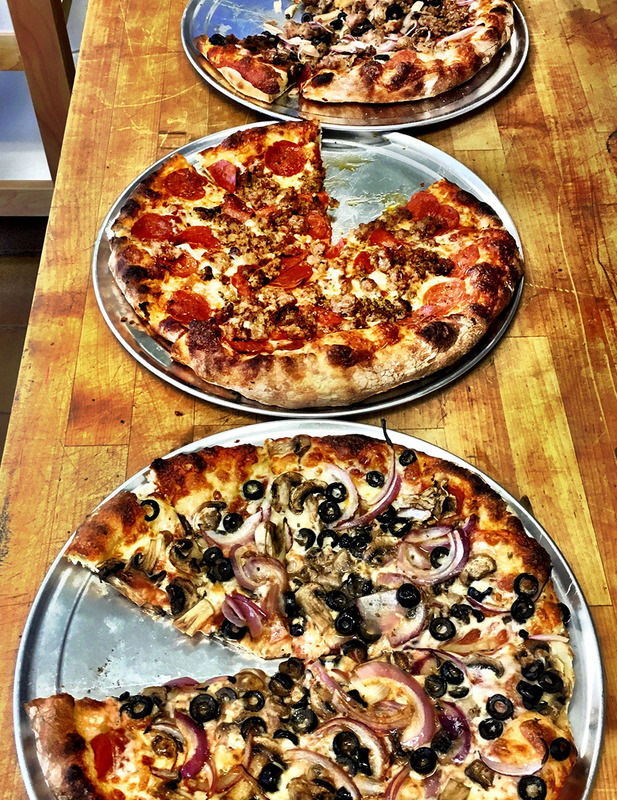 *Half & Half Pizzas priced by side with most toppings. **Add cheese to any "no cheese pizza" or extra cheese. Choose from Penne Rigate or Spaghettini. *Gluten free pasta (add $4). Made to order. Allow 20 minutes. All sandwiches served with a side salad of the day. All cold sandwiches serviced with shredded lettuce, provolone, mayo, mustard, house made Italian dressing, tomato. Prepared on ciabatta roll with garlic aioli. *We are NOT a gluten free facility. Equipment use in food preparation may also come in contact with nuts, dairy, chocolate, sugar & eggs. Minimum 24 hour notice for all catering orders. Alfredo cream sauce with a "kiss" of marinara. We call it lasagne in a hurry! Spicy! Marinara, whole garlic, chili flakes & fresh basil. Olive oil, garlic, parsley, sausage, choose spicy or mild. Includes one sandwich listed above, pasta salad, chips, complete with plastic ware, napkins, salt, pepper and mints.